If you are willing to put in the time and effort, you can make money from blogging. Not only can you work from home and focus on what you truly love, but you can make a profit from it as well. Indeed, with hard work and a little luck, professional blogging can grow to become a source of full-time income. 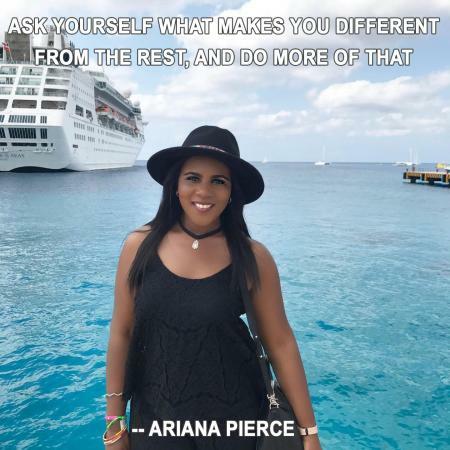 Author and entrepreneur Ariana Pierce has been an entrepreneur since the age of 13 and says that she "got serious about what I wanted to do at 17." That's when she created Superstar Nail Lacquer after teaming up with her mother then fully taking over the business. As a child, Ariana read books on business and leadership, and her parents would reward her after she finished reading them. She has "kept that habit all my life because I believe that successful people never get tired of learning." 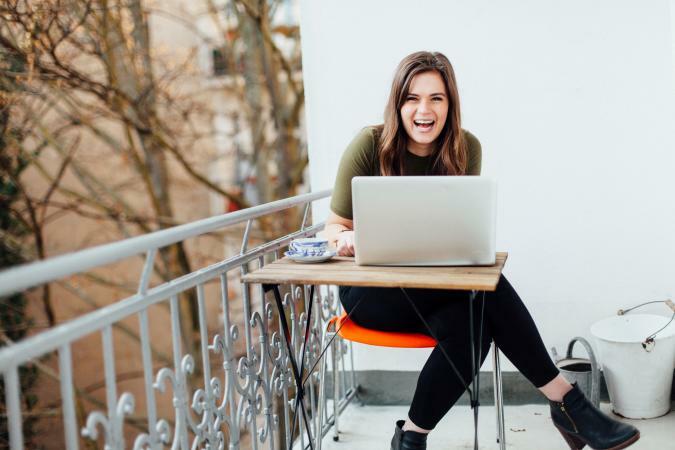 Finding success as a professional blogger must start with the right kind of mindset, one that is open to learning and adapting to new circumstances. You must never stop learning about everything from search engine optimization to new monetization opportunities. This principle has kept Ariana "open to new ideas and insights that can only be found by taking the time to read and do research." 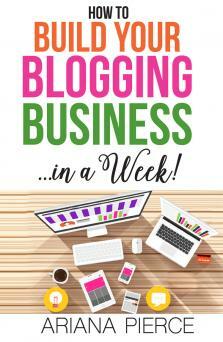 Ariana Piece shares her tips on how to turn blogging into a profitable money-maker in her book, How to Build Your Blogging Business In a Week. She also shares tips on living purposeful and staying committed to your goals in her book, Skip The Party Start a Business. Ariana says that "a blog can be used for more than just a cute online hangout spot; it's a phenomenal place to build your list and readership which can turn into potential clients and customers when done the right way." Once you decide what you will be blogging about, you can then focus on what product or service you will be selling in order to make money. The blog can serve as a promotional tool for a related business. For instance, you may choose to sell physical products, like trinkets and jewelry, through a connected Etsy store. If you offer services as a graphic designer, consultant or freelance writer, the blog can be a great source of new clients. 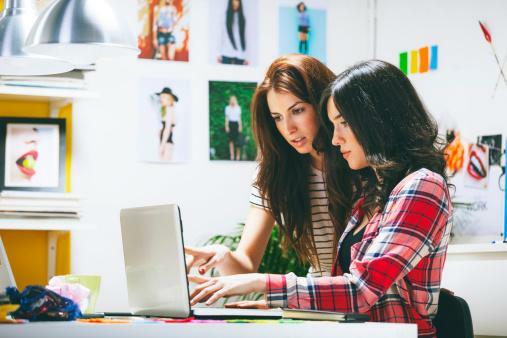 A more accessible option may be to develop and sell digital products, like online courses, ebooks, and educational videos. The free content on your blog can lead readers toward the paid premium content. Digital products can be sold on the blog itself, or you can leverage platforms like Kindle Direct Publishing and Skillshare to handle payment processing and content delivery. You don't need to have your own products or services to sell in order to make money from your blog. You can run a variety of ads on your site through networks like Google AdSense and Media.net that typically pay either on a per-click or a per-impression basis. Another opportunity to make money on your blog is via paid posts. This is when an advertiser pays you to write a blog post on a particular topic, typically including a link back to the advertiser's website. The post could take on the form of a sponsored review or the brand mention could be integrated into a bigger narrative. These collaborations and partnerships can span an extended campaign with multiple types of branded content. The dynamic with sponsored content can further be expanded into influencer marketing, where you may run a promotional campaign through additional platforms like Facebook, YouTube, Twitter and Instagram, in addition to or in place of your blog. More than four-fifths of marketers surveyed indicated that they will run at least one influencer marketing campaign within the next year. There are blogs discussing just about every topic under the sun and fashion is one of the most popular. Ariana Pierce has much success as a fashion blogger and says that one of things that has helped her succeed is "truly developing my unique voice and style in the industry." This is true regardless of the subject or industry you select, because the one key characteristic that will distinguish your blog from all the others on the Internet is you and your unique perspective. Ariana "remembers attending fashion week a few years ago, and a lady asked what I did. I told her I was a fashion blogger, and she literally turned her back to me and said, 'Of course you are.'" She goes on to say "that moment made me question whether being a blogger was really worth it and was it something I should be ashamed of because it's somewhat of an over-saturated market." Even with a high concentration of fashion blogs online, there is always room for more. "It wasn't because I had millions of followers," says Ariana. "It was because I had developed a niche and was speaking to a different audience than my peers. My demographic consists of ladies who aren't only into fashion, but they are entrepreneurs. After discovering this, I couldn't let a degrading comment during fashion week get me off course from what I really loved." 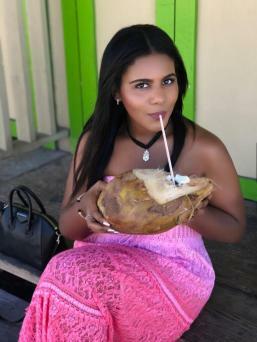 Ariana asserts that if you are going to be a successful blogger, you have to discover and develop your unique voice, style and branding. "Ask yourself what makes you different from the rest, and do more of that." Blogging is a career that can be challenging and is often subject to distractions. In order to get the most out of your blog, it is important to stay focused. Ariana Pierce says she can avoid a lot of distractions by writing out her goals and her desired end results. "Every week," she says, "I look over my lists to keep myself accountable to what I set out to do. Because I know what it is I want to accomplish, I try to avoid things that would get me off track to marking that goal off my list." She believes this has helped her throughout her younger years to stay focused and live a disciplined life. No matter your age, it can be difficult proving your worth. Blogging is no exception. Ariana mentions that "one of the biggest obstacles that I've faced in my career was trying to prove that I was mature enough and able to handle big business deals as a teen and young adult. There would be business meetings I would go into at just 17 years old, and once people saw how young I was, they would drop the deal. It was something that really hit my self-esteem, making me feel like I didn't really have what it took to be successful and that I would never be taken seriously because of my age." Ariana said there were many times she had to make a decision to either keep going or to quit. She decided that she wouldn't let something like age intimidate her and that she would perfect her craft so that investors and associates would have no choice but to work with her. She says that "to get my confidence up, I spent time studying and researching my industry so that I could be my very best and prove to them my business was here to stay." She adds that "after doing my part, I became well respected in my industry and age became a non-factor." When asked for advice on how to become successful in a career like blogging, Ariana Pierce says you need to "first dream big." She adds, "You have to believe that good things can happen for you and that you were destined for greatness. What the mind can see, it can also achieve, so take time daily to dream of what you want to accomplish in life." Create a goals list for your life. "Take those things you've been dreaming of and create a list of ways you plan on achieving those goals," she says. "This will help you to stay on course and have a benchmark to track your progress. It'll also motivate you to do more with the time you have." Get a great mentor. Ariana says a mentor can be someone "you know personally, or someone afar" and that you should "glean from others who are successful at what you want to do or become." Read. Ariana believes that "there is so much you can learn from reading successful people's books and getting their material that'll help you to think bigger and spark creative ideas for your future." In addition to selling products and services, working with advertising networks, and publishing sponsored content, you can explore any number of other possible revenue streams on your blog. Coaching/consulting: Take on clients who wish to tap into your experience and insight in your area of expertise. Donations: Utilize platforms like Patreon to solicit monetary support from your readership in exchange for exclusive perks and benefits. Brand ambassadorships: Work with companies on long-term campaigns to promote their products and services. Advertising on related platforms: Supplement your blog with additional content in such forms as a YouTube channel, podcast, or newsletter, monetizing each one accordingly through ad networks and private sponsorships. Events and speaking engagements: Host online workshops, webinars and summits. Charge for speaking at live events and conferences. Premium content: Create an exclusive area on your website for paying subscribers only, offering premium content like video tutorials, online courses, and additional resources. As with any money-making career, it is important to stay inspired and love what you do. There are a wide variety of ways to cash in with blogging, giving you the opportunity to try out many methods and work with different advertising networks in creative ways. Keeping up with new technologies will make it easier and more fun to make money blogging.